The K-15 Colibris hybrid captive balloon. K-01 Colibris, Moscow, Tsaritsino, 2010. 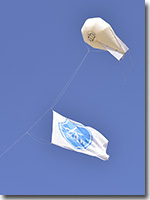 Classic small volume captive balloons, during the wind of 5 m/s and more, since the height of 20–30 meters, instead of lifting, is placed on the ground (because of the relatively high value of aerodynamic drag of the tether). 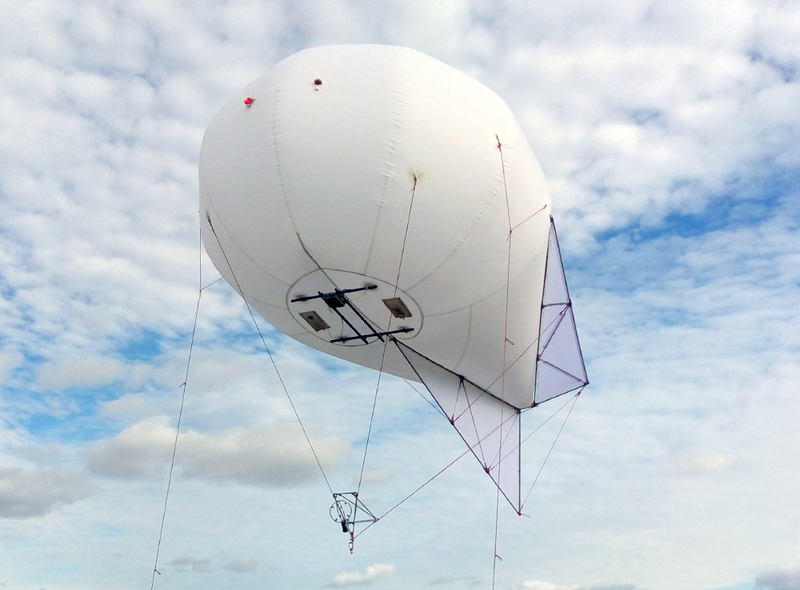 Thus, the tethered balloon less than 30 m3 (this capacity can be compared to half of the capacity of railway tank) may be constantly in the air only in calm weather. Hybrid captive balloons do not have this disadvantage because they combine the properties of a captive balloon and a kite. 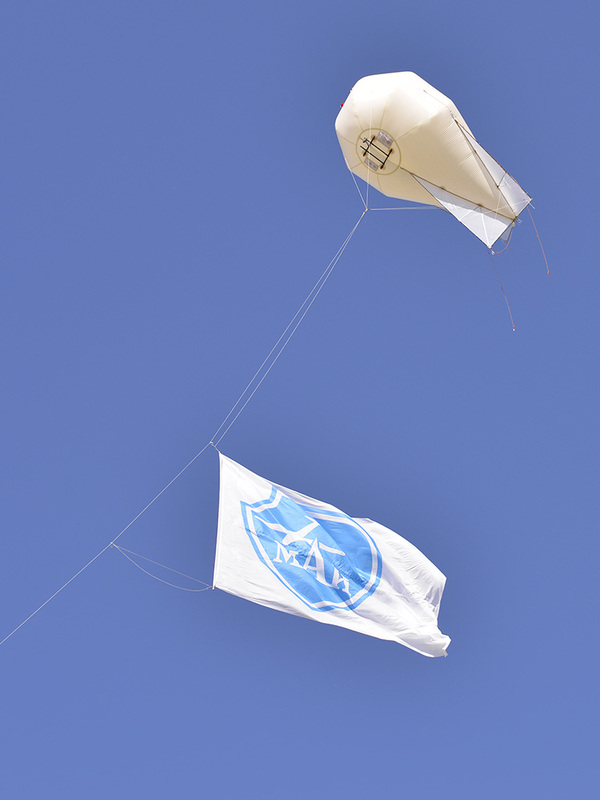 During the wind, the aerodynamic lift acts on the balloon in addition to the aerostatic force. Moreover, when the wind, maximum lifting height of hybrid captive balloons more, than the calm, and their behavior in the air in a wind incomparably more stable than the behavior of classic tethered balloons. 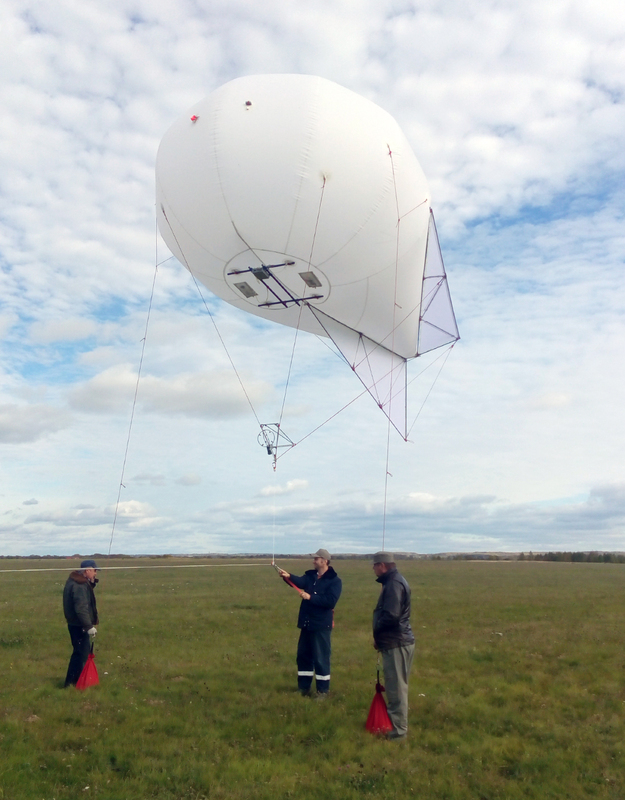 Use of the Colibris hybrid captive balloons is suitable for video surveillance; reception, transmission and retransmission of radio signals; carrying out of research work; the efficient lifting of flags, pennants, banners. The Colibris hybrid captive balloon can be constantly in the air. 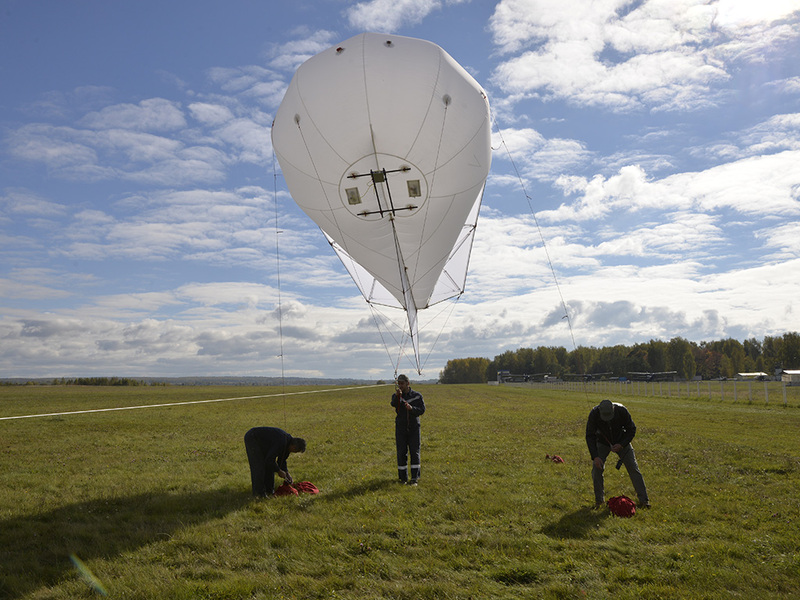 It requires only a short-term down-trip for replenishment of helium. 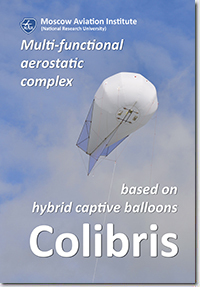 The Colibris is a family of small-sized hybrid captive balloons of different volume and are designed to various payload lifting. 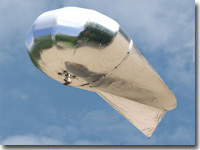 Balloons can be delivered as separate items, and as aerostatic complexes. 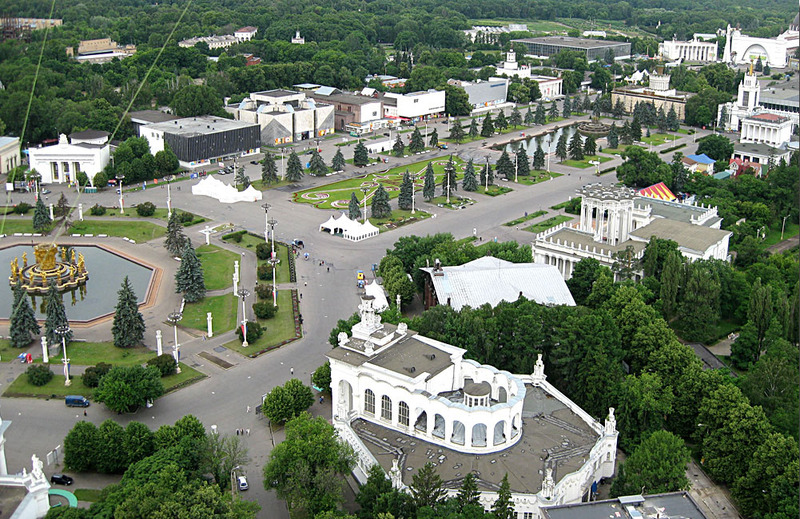 An equipment for panoramic video surveillance, aerial photography, meteorological observations, air pollution control, scientific research etc. can be installed on the platform. 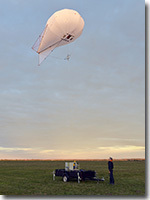 The Colibris hybrid captive balloons have a slightly flattened envelope with helium and а skeleton empennage. 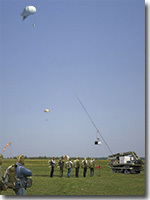 Payload can be attached directly to the balloon envelope, or suspended under it at rigging or tether. 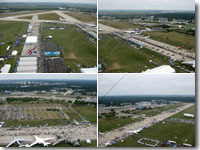 During the flight, an angle of attack is 15–25° and an angle of drift is about 20–35°. Plaited Kevlar cords used as a tether of the Colibris baloons. 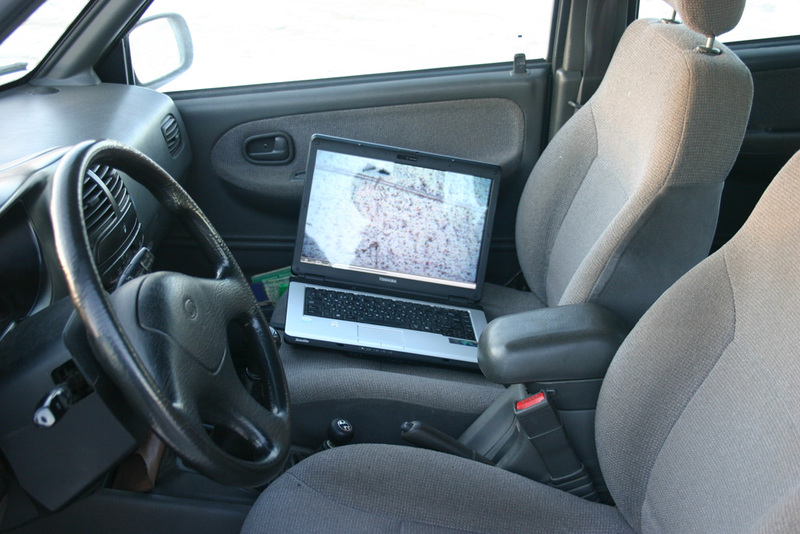 Digital data can be transmitted over the air, including the use of WiFi networks or using fiber-optical communication line, attached to the tether. Power is supplied via the onboard battery or via the cable-rope. 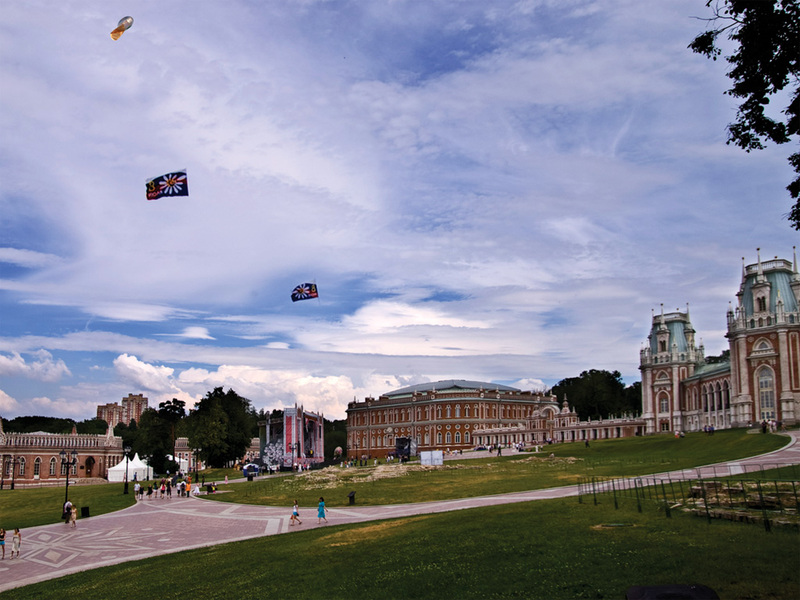 An operating altitude when flags lifting is about 70–100 m. An operating altitude when panoramic video surveillance and aerial photography is about 70–500 m. Helium is used as a lifting gas, but in compliance with safety requirements hydrogen is possible to use. Specifications of some Colibris balloons are shown in the table below. 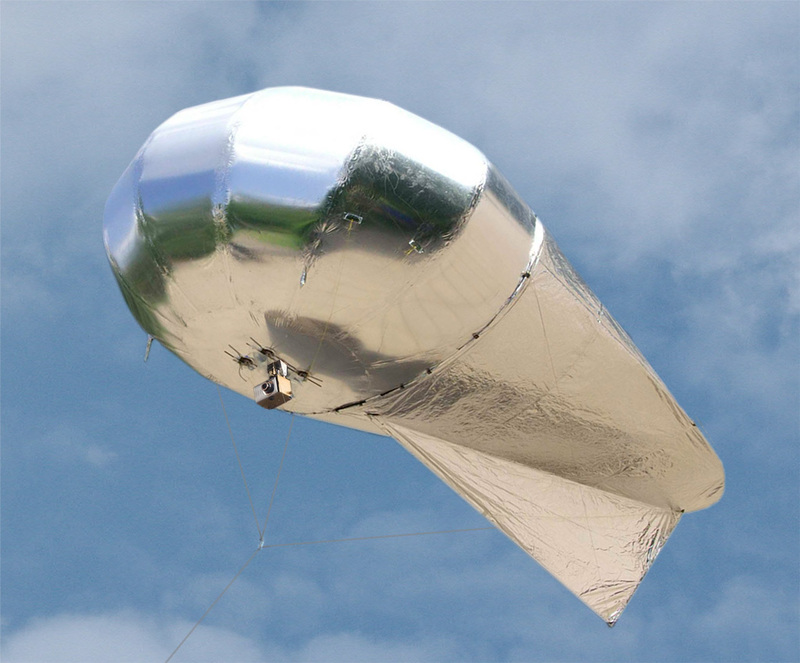 Balloons with another volume, payload or operating altitude can be designed and manufactured in accordance with the order. 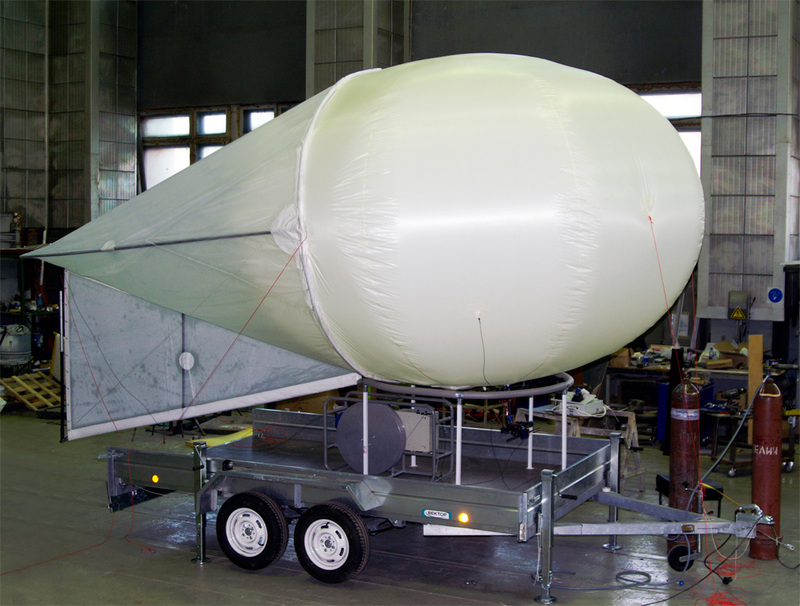 A typical aerostatic complex consists of a balloon, a starting platform and a set of equipment and supplies. 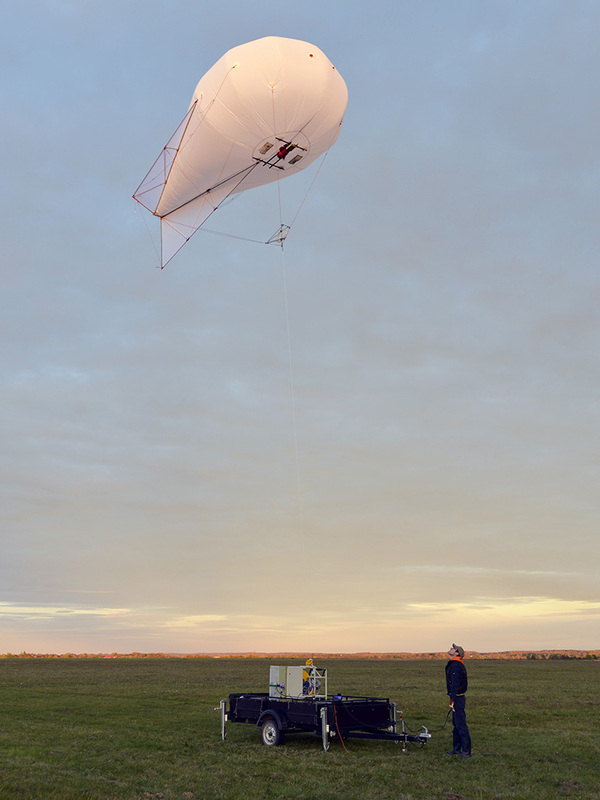 The balloon includes an envelope with a tension system and valves, an empennage and rigging. Starting platform consists of a winch, a tether (Kevlar cord) with a cable end and mooring anchors. 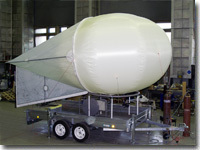 An example of use of the Colibris hybrid cap-tive balloons is an aerostatic complex based on the K-15 balloon (15 m3), intended for adjustment, parameters measurement and maintenance of radar stations. 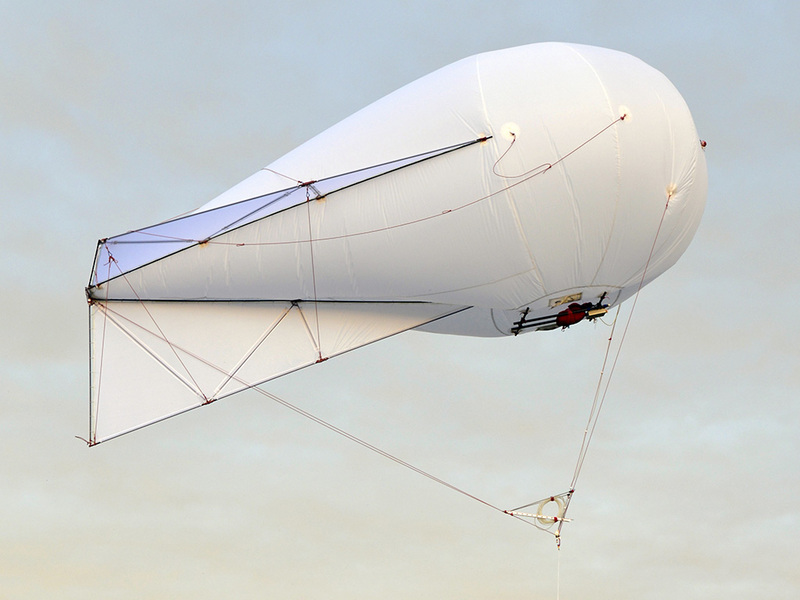 The idea of using aerostats for parachuting is not new. The jumps technique described in detail in a Soviet book «Aerostat parachute jumps» (D.O.S.A.A.F., 1956). 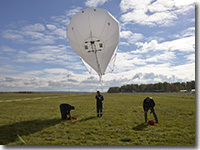 The authors claim that the acceptance rate of a balloon is higher than that of an aircraft. Methods of teaching is simple, and the cost — considerably lower. Thus, according to the Moscow City Committee of D.O.S.A.A.F. (Soviet Volunteer Society for Cooperation with the Army, Aviation, and Fleet), in winter 1955 more than five thousand jumps were made with a captive balloon during two and a half months. It took only less than half a ton of gasoline. 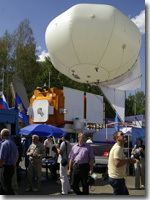 K-1500 refers to a class of hybrid captive balloons. Usual aerostats are in the air flow at an angle approx. 5°. As the wind increases, they make wavy and diving movements. 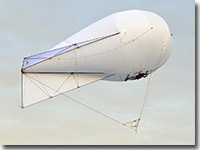 The aerodynamic lift of the hybrid captive balloon (angle of attack is about 20°) stabilizes it. 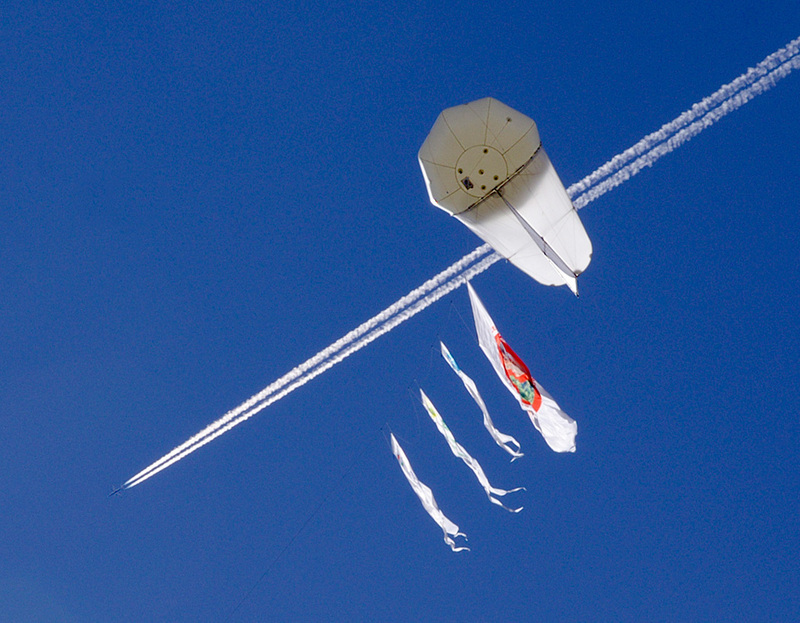 At the same time, aerostatic lift does not allow to fall at calming the wind. Usual. 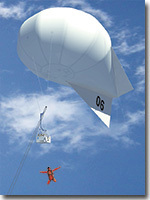 The gondola lifts to an operating altitude with the balloon. Shuttle. 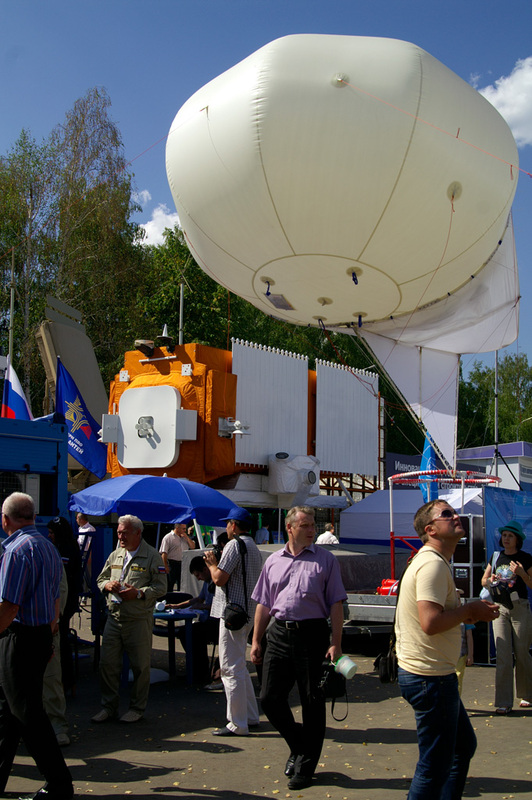 The baloon is at the operating altitude, two gondolas only move. While one gondola with skydivers onboard goes up, the other gondola goes down (this is analogous to the mountain cable car). 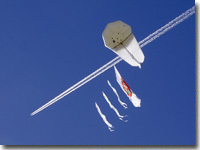 Moreover, this method avoids the unpleasant for all balloons ground turbulence passage and unmoored being near the ground. 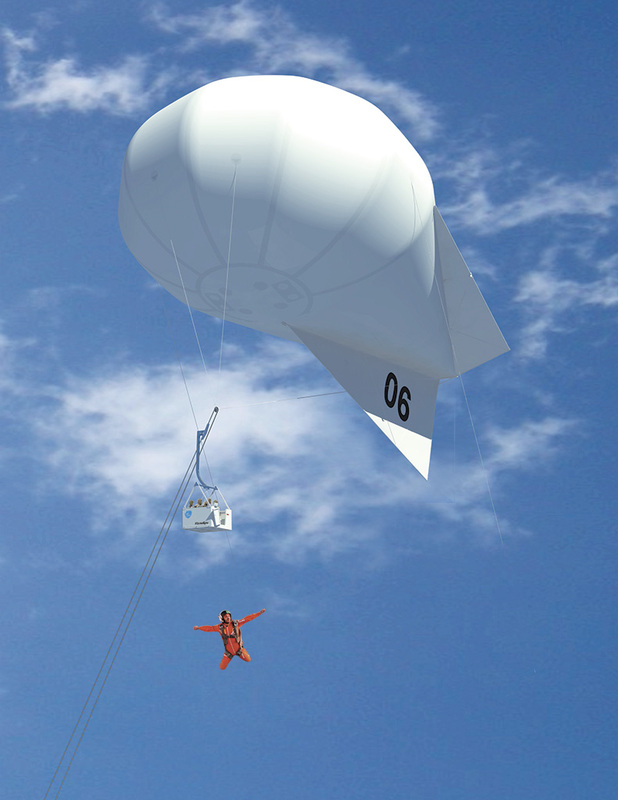 Gondola can be equipped with a ballistic parachute rescue system. 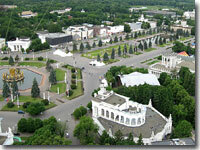 As a launch platform of the complex a «mobile holding device» used. It is a special truck or a trailer, equipped with a winch, mooring supports, sets of equipment, power supply, gas filling and vacuuming systems. 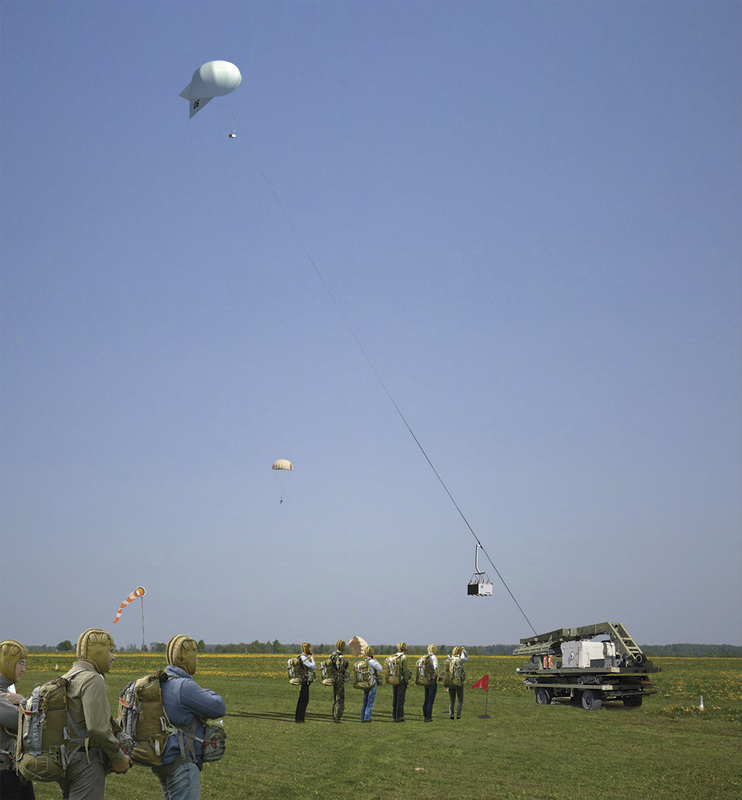 Application of the K-1500 significantly reduces the cost of the jump, can save life of the aircraft, operating on the dropping of parachutists, and attract a more people willing to make the first and subsequent jumps. With proper lifting height, tandem jumping with an instructor and jumping sports disciplines are available.